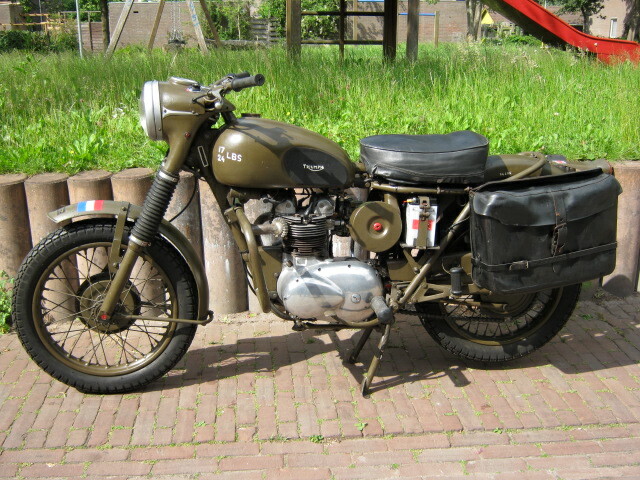 Neat unrestored Triumph 3TA ex-Dutch army. It is totaly original so including army type rearlight, leather sidebags ( in good condition) and Solex carburettor, fitted to make it possible to run the bike to about 75 cm deep water (try this once at home....) Runs starts and rides very well, has matching numbers and a Dutch registration. Fine reliable bike for a small price.